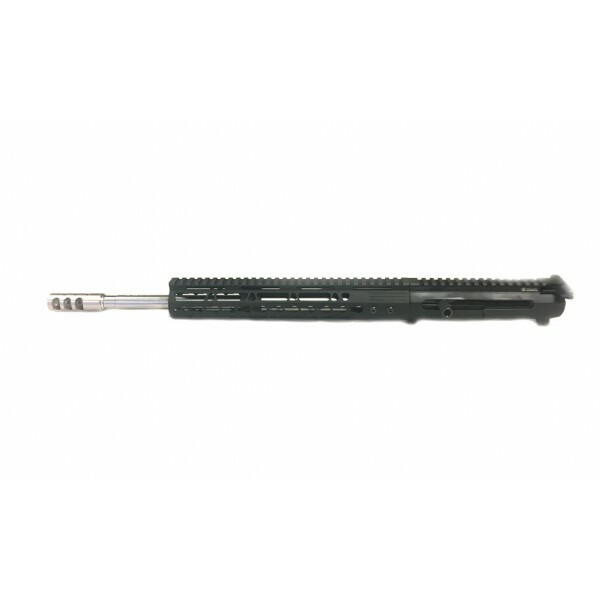 AR-15 upper assembly, 16" stainless steel barrel, mid-length slim keymod rail, LH Side Charger. 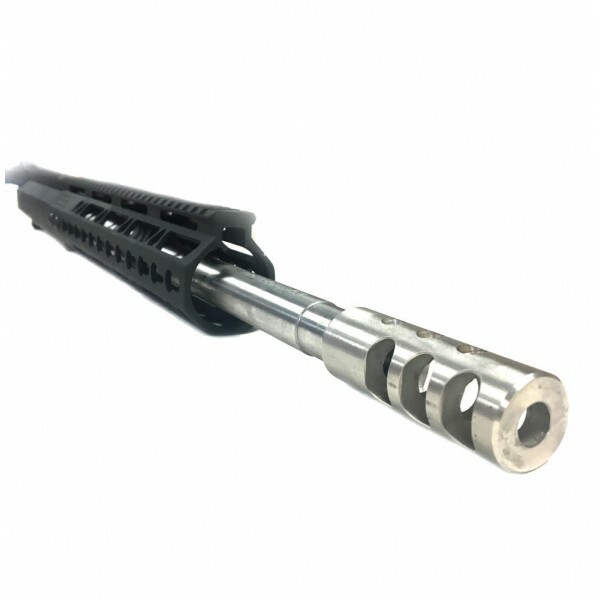 Barrel - 16" 416R stainless steel hbar barrel. Heat Treated to RC 28-32 Hardness, and Stress Relieved. 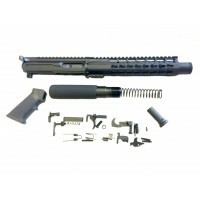 Chambered in .223 Wylde, accepts both 5.56 and .223 rounds. 1-8 rh twist; 6 groove button rifled. .750 diameter under gas block. Carbine gas system. Threaded 1/2x28. M4 feedramps. Barrel is finished off with a tri-port competition muzzle brake in stainless steel. Gas system - .750 low profile steel gas block. Carbine length gas system. 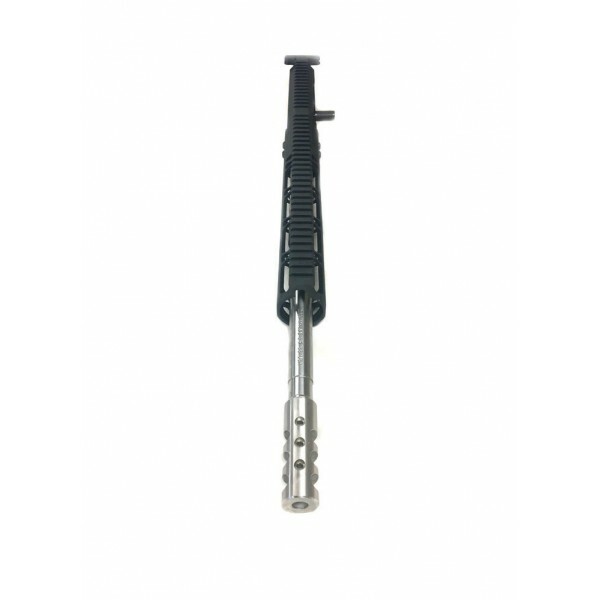 Handguards - mid-length free floating slim keymod rail. Made from aircraft quality aluminum and black hardcoat anodized. 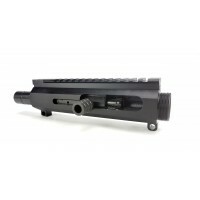 Also available in mlok or quadrail option. Comes complete and ready to drop on your receiver.